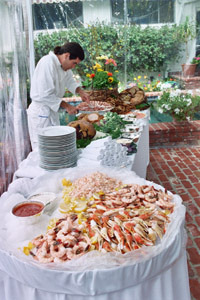 Since 1985 we've been catering in-house, on-location events of the highest quality to the most discerning of clients. Here are some comments from our clients. And here are some signature dishes designed specifically for sit-down dinners. Feel free to contact us for prices and further suggestions.